Mahjong storage set, a zippered tote bag for racks and pushers with a flat bottom bag for tiles! My Mahjongg storage set was designed due to customer requests for something easy to use and nice to look at too. 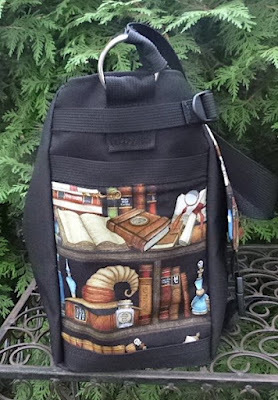 The zippered Tote-ster is a tote designed to carry four Mahjongg racks and pushers and the Large Zini is a flat bottom zippered bag for the tiles. No more time spent putting the tiles back into a case, just sweep them into the Large Zini and zip it closed. Set the racks in the bottom of the Tote-ster, slide your card into the pocket and set the Large Zini on top of the racks. You are good to go! Many of these sets are one of a kind which makes them even more special. Check out the sets I have in stock. I have a variety of storage options for your Mahjongg equipment, plus zippered pouches just for your Mahjongg card with an inner pocket for coins. 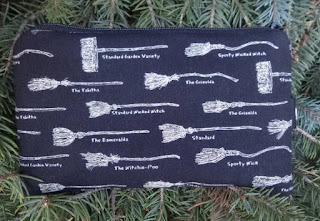 Say hello to Broomhilda and her brooms! How could I pass up on these two prints? I have them available in two colors as you can see. This is my Sweet Pea mini wallet. 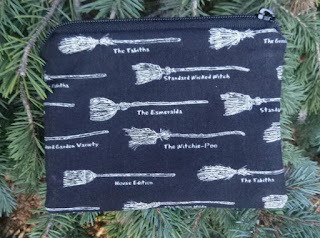 It also works great as a purse organizer and a small iPhone wallet. 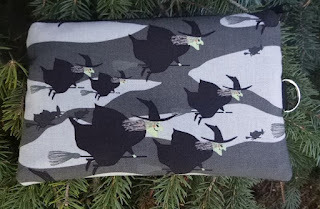 The fabric is Broomhilda Rides. 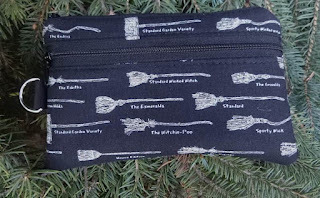 This is my Raven coin purse made with the Broomhilda's Brooms fabric. 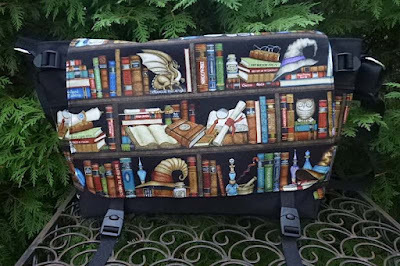 I could not resist using this awesome bookshelf fabric for a messenger bag. It's a bookshelf for a witch or wizard and I am sure it will appeal to many people including fans of Harry Potter. This Lynx Deluxe messenger bag has pockets inside for organizing, plus a bottle sleeve and a key clip. 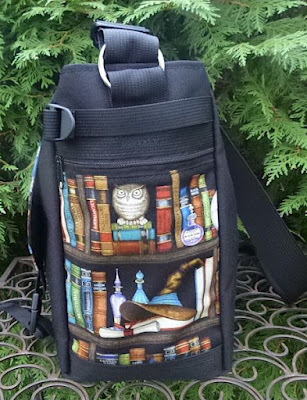 On the sides you will find an open pocket and a zippered pocket. 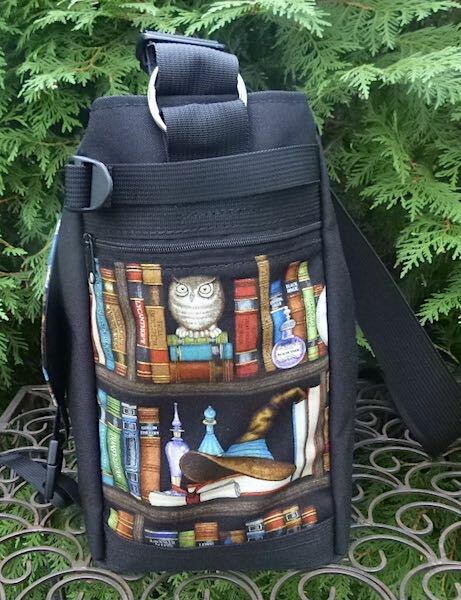 The shoulder strap is adjustable so you can wear it as a cross body bag as well.